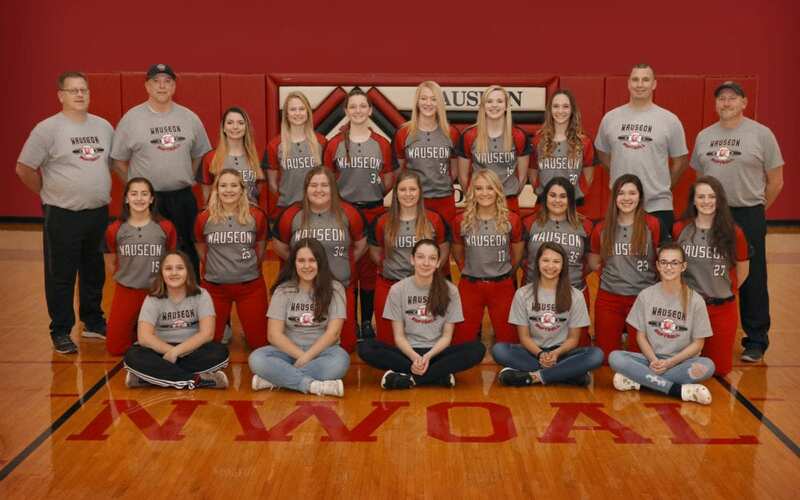 DEFENDING CHAMPS … With plenty of firepower returning from last year’s team, the Wauseon Lady Indians are the favorites to win another NWOAL title. After winning their first NWOAL championship since 2009 a season ago, Wauseon will look make it two in a row this year will plenty of talent returning. The biggest change for the Lady Indians will be their head coach as Mark Schang takes over for Jen Croninger who stepped down due to schedule conflicts with her teaching career. Pitcher Juli Spadafore, the NWOAL Player of the Year last season, leads a group of eight returning letter winners which a make Wauseon the resounding team to beat in the NWOAL race. Wauseon will have a target on their back every night they take the field with plenty of experience back from last year’s league champion. New coach Mark Schang will look to continue the success started last year that not only included a league title but also a trip to the Districts where they dropped an extra inning heartbreaker in the semifinals to Clyde 1-0. Schang looks to the defense and overall attitude of this year’s club as their strengths and doesn’t see any glaring weaknesses entering the 2019 campaign. Coach Chad Savage will have a young and inexperienced group of Lady Golden Bears this season with 19 of their 25 players being freshman or sophomores. “Depth of varsity of experience is an area of concern with only three returning starters. We also have several key players returning from injuries ir illnesses that could limit us early in the season”, said Savage. Savage likes the overall athletic ability of this year’s team and their youthful enthusiasm is something the coaching staff is excited about. “Our team hitting has the potential to be very solid. We will pitch by committee early to see if someone steps up as the ace of our staff”, he added. Savage also said that he expects Wauseon to be the team to beat in the league but hopes their tough schedule will prepare them for tournament time. While the Lady Bluestreaks will have youth and inexperience at some key positions, Head Coach Andrea Thiel is upbeat about the upcoming season. “Our goal is to be playing our best softball of the year as we approach tournament time. We will have a very challenging non-league schedule, which will help us prepare for our NWOAL contests. “It will take a group of young ladies that can maintain a strong focus through the ups and downs that come along the way and who are committed and determined to work together for that to happen”, added Thiel. Thiel expects the NWOAL league race to be competitive as always. “There will be some great competition in the NWOAL again this year. Several league teams return key players that will make each league opponent we face a tough test. I believe that there could be several team fighting for the league championship with Wauseon at the top of that list”, she concluded. Evergreen has plenty of experience back from last year’s Sectional champions with eight returning letter winners for coach Andy Langenderfer. On the flip side they did graduate seven seniors and all though they were not all starters, Langenderfer said replacing the depth those seniors provided will be one of the biggest challenges they face this year. “We feel we have the talent to compete with every team we face this season”, commented Langenderfer when talking about his overall outlook for the season. “Ultimately we are looking to improve upon our 4-3 league record from last season. “Our goal is always to win the NWOAL, but we know that will be a difficult task. We want to play to our full potential and to dominate the aspects of the game that we can control”. Liberty Center softball approaches the 2019 season with several new players in important positions. The Lady Tigers are young and expect to play several sophomores in critical positions on defense. “We expect that this roster will play hard and with hunger, they have a lot to prove”, said Head Coach Scott Barrett. Barrett had several teams he believes will be factors in the NWOAL race. “Wauseon, Archbold, and Evergreen would be teams that can win the NWOAL in 2019. Wauseon returns the best pitcher in the league and they are champions until somebody beats them. Archbold has the history and Evergreen is loaded with travel players and an excellent left-handed pitcher to keep them in the race”. Six letter winners are gone from a season ago for the Lady Panthers, but coach Pat Bastidas is confident in the group he has returning. “Better position players in the field”, when asked about his team strengths. He also likes the fact their most two seasoned pitchers in Lizzy Ford and Lydia Yoder are back for the upcoming season. Bastidas said also despite the fact they maybe more talented this year, they are young and have ne players at important positions in the field. The Lady Bulldogs expect to be much stronger on defense and will be more experienced in the pitching department which they hope will help them improve on their 11-8 overall record last season. Coach Joe Nye points to Bryan, Archbold, Wauseon, and Evergreen as the teams that’ll be battling it out for a league title. Be the first to comment on "Previewing The 2019 Northwest Ohio Athletic League Softball Season"